Today is children's day at camp, a hastily organized, belatedly announced and sparsely attended visiting day especially for the children of inmates. The idea is nice and I applaud it. But, unfortunately, the execution is wanting. The day was announced only last week and because it is scheduled for a Monday instead of a weekend or holiday, very few people are able to attend on such short notice. My children included. But the purpose of this post is not to gripe or complain. I have written often enough already about how much I miss my kids. Rather, in this post I'd like to focus on another aspect of camp life that struck me a moment ago as I walked through the barracks to this computer: sleep. We have the day off from work today whether or not we have children visiting, which is a nice side benefit. As a result, inmates are off doing their thing as if it were a Saturday or Sunday. Some of the industrious ones are lifting weights. Others are walking around the track. A few sit next to me typing e-mails. And a surprising number lay snoring in their bunks, including several who seem to do little else. I call them the Rip Van Winkles. The Rip Van Winkles are a group of men, including several with long white beards that very much fit the image, who have seemingly decided to sleep out their sentences. This is easier said than done given that this is a work camp and we all have to appear productive. That and the barracks are always noisy. But somehow they manage. Every time I pass by their bunks, whether it be day or night, they are there deep asleep, snoring up a storm. At the same time as I wonder how they do it, I also occasionally envy them. On my bad days at camp I can't help but think that it might be nice to close my eyes today only to open them on the morning they set me free. 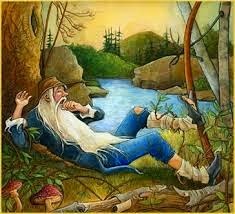 Out of curiosity, I took this Rip V. Winkle hypothetical to some of my fellow inmates in an informal poll. A surprising number said that they'd consider it if cryonic preservation were offered on the commissary list or as an option in the nurse's room. But while it might sound tempting on a particularly bad day, most, unsurprisingly, said no. Many cited their families, saying that if they were alone in the world they'd do it but felt the obligation to be present to the extent possible for their families on the outside. Others mentioned their intent to better themselves while in prison - the waste of sleeping away their time. This is just how I feel: even if this hypothetical were, in fact, an option, I would not consider it for even a second. I want to be alive and awake and alert to call my kids, to learn yoga, to write in my journal. they do it. Are they depressed? Are they somehow able to turn off their inner clock? If I nap for an hour or two during the day than I can't sleep at night. I'd like to know their secret. At the other end of the spectrum are the inmates who almost never sleep. A few of my inmate friends fall into this category, lying awake nights as they think about the outside world, about their loved ones, about problems they can't fix. Their eyes refuse to close as they toss and turn, disturbed by every snore and snort. 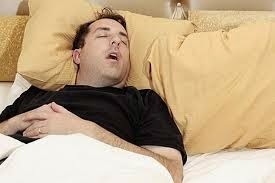 These are people who say they didn't suffer from insomnia on the outside: the atmosphere in the barracks can cause sleeplessness in even the soundest sleeper. I have suffered from it myself a handful of times: the night passes extremely slowly as you lie awake in your bunk while people fart and snore around you.